The plan is to build 4,000 homes by 2022 as the typhoons that batter the country continue to rise in intensity. Thousands of families along Vietnam's typhoon-battered coast will soon be protected by stormproof housing which will help pull them out of poverty, government and United Nations officials have said. Vietnam is one of 10 countries most affected by climate change, according to the latest annual Climate Risk Index published by the research organization Germanwatch. Coastal residents are particularly vulnerable as storms increase in frequency and intensity. They are often trapped in poverty due to the amount of money they are forced to spend on rebuilding or repairing their homes, businesses and possessions. "There is a really strong link between poverty and being able to accumulate assets, and housing is one of the major assets," said Jenty Kirsch-Wood, a senior technical advisor at the U.N. Development Program (UNDP). "If we can get some of these highly vulnerable people into safe houses, it not only protects their lives, but also their assets and small businesses," Kirsch-Wood added. Working with the government, the UNDP plans to build 300 houses by the end of this year, out of a total of 4,000 by 2022, she said. The two-room houses are based on a simple design to create a stronger structure. Features include a mezzanine level to protect against flooding, reinforced roofing and the use of strong cement. Residents often hold on to their old homes for storage or to keep animals, said Kirsch-Wood. Each home costs about $1,700 to build, and 37 have been completed so far in Quang Ngai Province, she said. After testing and monitoring, the housing scheme will be expanded to other provinces. 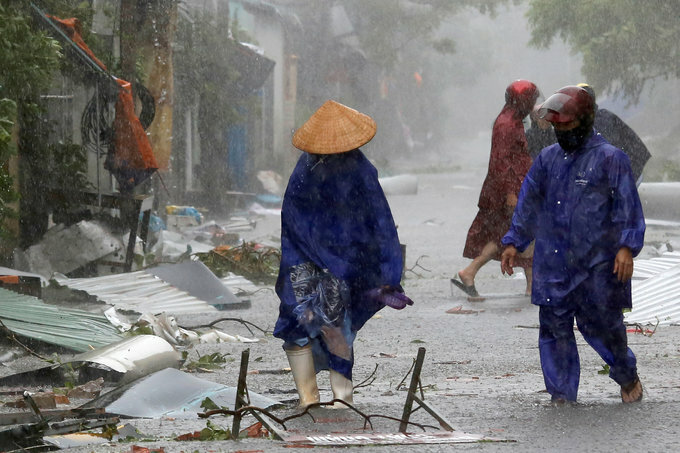 More than 15 typhoons slammed into Vietnam in 2017, Doan Thi Tuyet Nga, a director at the government's disaster management authority, told the Thomson Reuters Foundation. Kirsch-Wood said she hopes the low cost, storm-proof designs will be adopted throughout the country as people hear about them through word of mouth. The aim is also for the Vietnamese government to draw upon the designs when constructing future housing projects, she said. The housing scheme is part of a $29.5 million project - funded by the U.N. Green Climate Fund - to increase resilience in Vietnamese coastal communities to the effects of climate change. The poorest households will be targeted under the project, with priority given to ethnic minorities, disadvantaged families, the elderly and people with disabilities. The project also includes the regeneration of mangrove forests that help protect coastal areas from storms, and developing disaster risk management planning.